Ball, M. 1973. Regionalism and the South Pacific Commonwealth. Pacific Affairs XL Issue 4:232-253. Campbell, K. M. 2010. U.S. Policy in the Pacific Islands, Testimony before the House Committee on Foreign Affairs Subcommittee on Asia, the Pacific, and the Global Environment. Washington, DC. Dobell, G. 2007. China and Taiwan in the South Pacific: Diplomatic Chess versus Political Rugby. D’Arcy P. (ed.) Chinese in the Pacific: Where to Now? CSCSD Occasional Paper, No. 1. Canberra: Centre for the Study of the Chinese Southern Diaspora, Research School of Pacific and Asian Studies, Australian National University. Economic Policy, Planning and Statistics Office. 2003. RMI Statistical Yearbook 2003, Economic Policy, Planning and Statistics Office. FSM Department of Economic Affairs. 2003. FSM Strategic Department Plan-March 2004. FSM Department of Economic Affairs. Finin, G. and T. Wesley-Smith. 1997. A New Era for Japan and the Pacific Islands: The Tokyo Summit. Analysis from the East-West Centre. NO.32. East-West Centre. 1-10. Fisher, D. 2013. France in the South Pacific: power and politics. Australia National University E Press. Godley, M. 1983. China: The Walking Giant. Ali A., R. Crocombe, and R. Gordon(eds.) Foreign Force in Pacific Politics. Pp. 130-142. Suva, Fiji: Institute of Pacific Studies, University of the South Pacific. Hanson, F. 2008. The Dragon in the Pacific: More Opportunity than Threat. Sydney: Lowy Institute for International Policy. Hegarty, D. 2007. China in the South Pacific. Working Paper 2007/2. Canberra: Australian National University, State, Society and Governance in Melanesia. OECD, 2014, France 2013 (OECD Development Co-operation Peer Review), OECD. Ogashiwa, Y. 1991. Microstates and Nuclear Issues: Regional Cooperation in the Pacific, Suva, Fiji: Institute of Pacific Studies, University of the South Pacific. Peattie, M. 1988. Nanyo: The Rise and Fall of the Japanese in Micronesia, 1885-1945. Pacific Islands Monograph Series No. 4. Honolulu: University of Hawai‘i Press. Porter E. A. and T. Wesley-Smith. 2010. Oceania Matters. Welsley-Smith, T. and E. A. Porter (eds.) China in Oceania: Reshaping the Pacific? Pp.1-26. New York: Berghahn Books. Rix, A. 1990. Japan’s Foreign Aid Policy: A Capacity for Leadership?. Pacific Affairs. Vol. 62, No. 4:461-475. Tagupa, W. 1976. France, French Polynesia and the South Pacific. King, F. P. (ed.). 15 Oceania and Beyond, London and Westport. Pp.200-215. Connecticut: Greenwood Press. Tarte, S. 1989. Regionalism and Globalism in the South Pacific. Development and Change, Volume 20, Issue 2:181-201. _______ .1995. 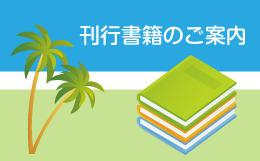 Japan’s Aid Diplomacy and the South Pacific, PHD thesis, Australian National University. _______ . 1998. 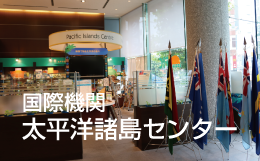 Japan’s aid diplomacy and the Pacific Islands, National Centre for Development Studies, Research School of Pacific and Asian Studies, Australian National University. _______ . 2014. “Regionalism and Changing Regional Order in the Pacific Islands.”, Asia and the Pacific Policy Studies, Vol. 1, bo.2: 312-324. UKAID. 2013. Statistics on International Development 2013. Department of International Development. UKAID. Copyright © 一般社団法人太平洋協会 All Rights Reserved.